Platform: Xbox One ($59.99) & Xbox 360; PS4 and PC in 2016. Xbox One version tested. Copy provided by the publisher. 2013’s Tomb Raider reboot was a huge success, so much so that it was a little worrisome whether or not such a great game could actually have a sequel even half as good. The franchise was turned on its head with an almost entirely new direction, both in terms of artistic vision and narration style. Lara’s new origin story was full of emotional climaxes and it had some very fun gameplay elements, too. Sure, it had its flaws, but it also set a very high bar for future installments. Lara is no longer an inexperienced treasure hunter, trapped on an island fighting for her life as she’s being hunted and forced to survive at any cost. Experience has helped hone her skills to a point. But she isn’t some stone-cold killing machine that indiscriminately inflicts pain in anything in her path, either. Despite all of her previous exploits and traumatic experiences, Lara is still very human, and that’s never been more apparent than here. The authentic and believable portrayal by Camilla Luddington continues, and the character development continues to be a large part of the story. Tragedy and sorrow continue to the main theme, highlighted by the tragic passing of Lara’s father in some very suspect circumstances. As usual for these games, he was of course working to find something incredible and potentially fate altering for humans, something that Lara became determined to find herself after her father’s office was ransacked. Thus, she set out on an impossible journey to discover this magical location. The underlying story in Rise of the Tomb Raider is classic to the point of being familiar, but it’s how this plot unfolds that differentiates it from the Tomb Raider games of yore, in a very positive way. 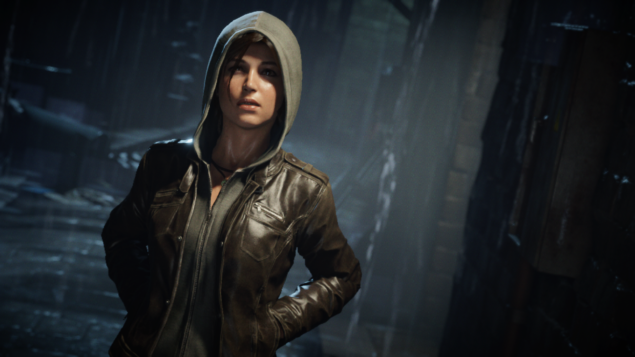 Lara really has to fight hard to survive in Rise of the Tomb Raider, using all of the hard learnt skills from her previous adventure to stay one step ahead and avoid capture. Not an easy task in the Siberian wilderness. It’s a cold and harsh land, and Siberia is a harsh mistress. The survival element is mainly a driving factor in finding something that could be terrible if it landed on nefarious hands. Ultimately, it’s a classic good vs evil plot line borrowing elements you’ll recognize from any good action adventure film. Even so, it doesn’t feel generic at all, treading very well on that fine line between inspiration and blatant imitation. Survival is rather important in Rise of the Tomb Raider, mainly via scavenging for materials that Lara can then use for crafting. You need the basic materials like wood or feathers, for ammo and for a vital health-increasing balm. It’s an intricate and necessary function of the game, but it never feels overly cumbersome or desperate. It’s well implemented and not at all complicated to dive into. You’ll also need to scavenge for the different scattered parts of new weapons and equipment. There are several weapons within the different categories, but it’s up to you to find them all. You can only take ammo from dead enemies. Those enemies seem to know where you are almost all of the time, always accurate with their grenades and shots, and sometimes too smart for their own good. Perhaps it’s my lack of experience on a console that had me suffer the fate of death too many times, or perhaps the AI is this intelligent by design. Either way, it’s a challenge, and one that’s satisfying. The subtle crescendo of music as enemies or aggressive animals are near is a very nice touch, adding to the atmosphere of despair. The soundtrack is similarly impressive, no doubt being a continuation of the past themes that were already so successful. You can listen to the soundtrack by Bobby Tahouri for free at Soundcloud. Exploration is the key to finding those weapons, going through the various side quests, helping the natives in any way possible and not being afraid to use the climbing-axe to go places. Thankfully the instinct vision is back, which will help you understand where important things are located. The vistas are stunning, definitely a sight to behold, but they’re just a small part of an overall vision that Crystal Dynamics had, one that is so expertly painted onto the canvas that is this game. The massive areas are full of caverns to explore and side quests to complete, more than enough for the folks who like to complete games at 100% and probably enough to fill countless hours of fun. 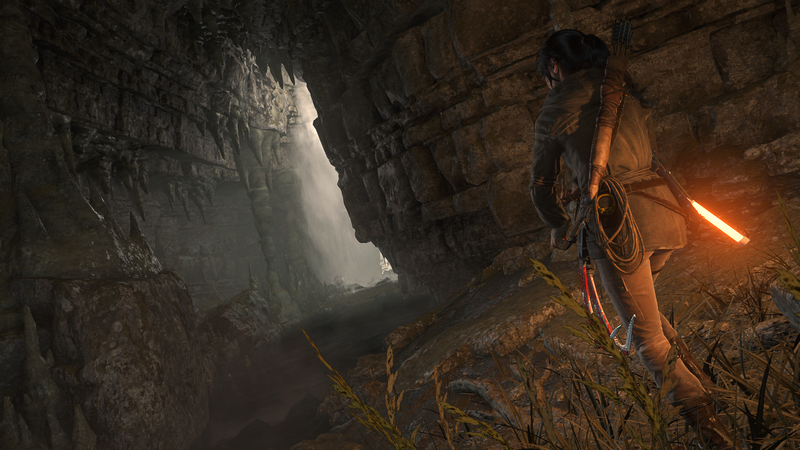 The main story might be just a tad short, but Rise of the Tomb Raider certainly doesn’t lack for content. The tombs are complicated, but never so much that they get too frustrating. The answers are never immediately obvious, but this also means that players will feel incredibly satisfied when they finally solve the puzzle. And there’s plenty of good loot to be had for your troubles, so these aren’t just fruitless ventures for the sake of solving puzzles. Lara’s character gets more interesting as we learn more and more about her, as she struggles to survive in Siberia amidst some rather impossible odds. The story is told through multiple parts, with Lara as the narrator, taking us through her thoughts and feelings, increasing the already considerable character depth that was part of the reboot. Even the other characters have a surprising depth to them, which is enhanced by the backdrop. The graphics are actually great, very well polished in all regards. 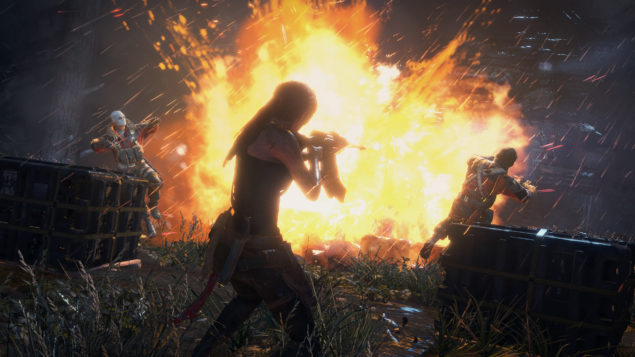 The Xbox One isn’t the most powerful hardware when it comes to graphical prowess, but Crystal Dynamics have been able to create a great experience. My only complaint is that the controls sometimes feel sluggish due to too much going on, too much processing. But it’s gorgeous, and those controls are usually very intuitive, even for a non-console person such as myself. Usually sequels are marred with the idea that they’ll never be as good as the original. Rise of the Tomb Raider takes that stereotype and crushes it, smashing it with an ice-climbing axe and setting it on fire. The story brings us to classic Tomb Raider territory while never falling victim to the troubling plot elements that had the originals become somewhat stale after a while. It succeeds on many different levels and never fails to excite along the way. Rise of the Tomb Raider is a journey through Lara’s life, and you get to be a part of it. It’s a dynamic and visceral gaming experience, one that I can wholeheartedly recommend to any fan of the action/adventure genre.